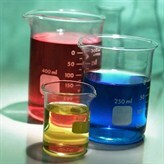 The Science Course of Studies are based on the Ohio Content Standards for science. The Ohio science academic content standards provide all students in the kindergarten through 12th grade program with a set of clear and rigorous expectations. The science standards focus on what all Ohio students need to know and be able to do for scientific literate citizenship, regardless of age, gender, cultural or ethnic background, disabilities or aspirations in science. Standard: An overarching goal or theme in science. The standard statement describes, in broad terms, what students should know and be able to do as a result of the K-12 program.